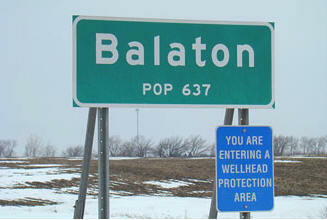 Balaton is a small community with big goals. Join us in enjoying the picturesque views and variety of businesses, services and celebrations that Balaton has to offer. 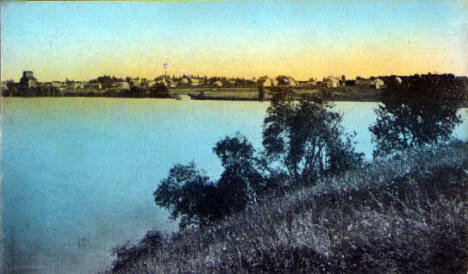 Lake Yankton, located along Highway 14 on the north edge of town, is a popular place year-round. The summer months offer swimming, boating, fishing and areas for family gatherings, while the winter months also provide some good ice fishing. Lakeside Park is the center point of the kickoff of our annual FunFest celebration which takes place on the weekend nearest the 4th of July each year. This year's festivities will be held on July 1st through 3rd, and offer something for everyone. Two Developments on the east edge of town offer rural living with conveniences of city services. Eastbay offers large building lots around an executive par-3 golf course. Grandview offers some lakeside lots on Lake Yankton. Both developments have paved streets and city water and sewer already installed. Lions Park is located right downtown and a large athletic field featuring a lighted softball field is located on the west side of town. Both are popular with kids of all ages. Balaton offers a nice downtown shopping area that will meet most needs. Dental and medical clinics are also available right in town as well as Lakeview Senior Apartments and the Colonial Manor Nursing Home. 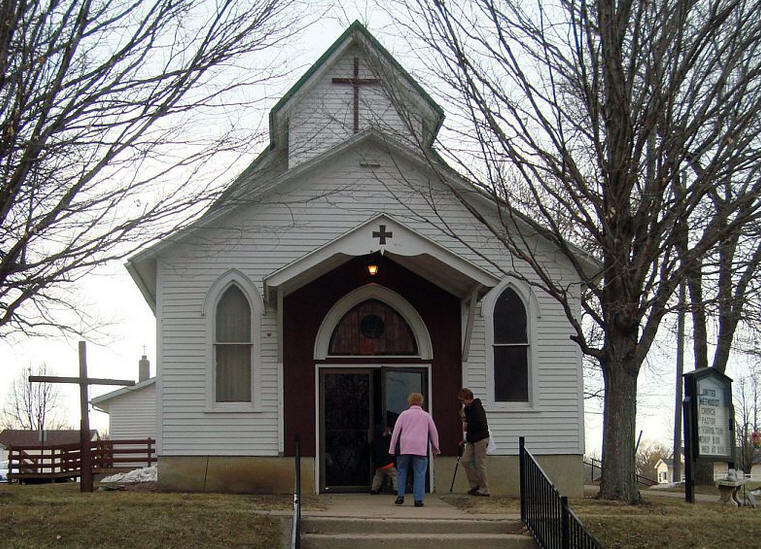 Various civic organizations offer opportunities to be involved in many areas of interest. And the Balaton Area Community Foundation (BACF) provides an avenue to give back, knowing all donations will remain in the local area. 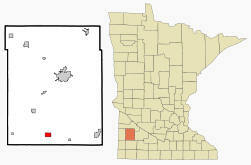 Balaton is a city in Lyon County, Minnesota. 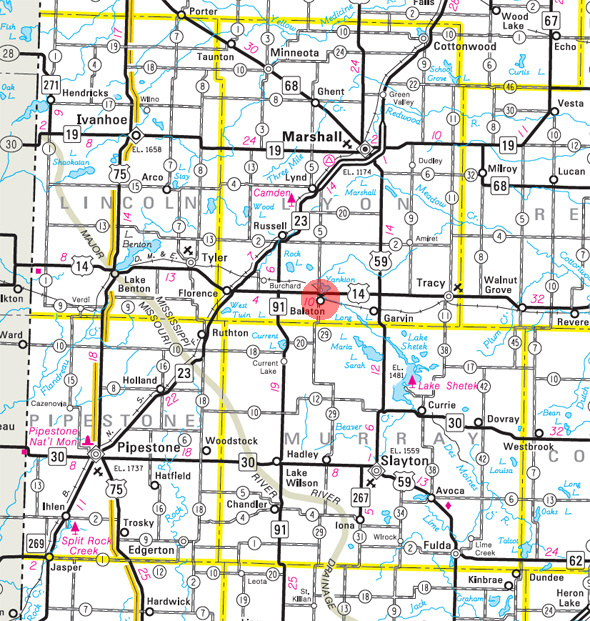 US Highway 14 and County Road 5 are main routes in the community. According to the United States Census Bureau, the city has a total area of 1.58 square miles (4.09 km2), of which 1.45 square miles (3.76 km2) is land and 0.13 square miles (0.34 km2) is water. The elevation is 1,542 feet above sea level. As of the census of 2010, there were 643 people, 273 households, and 168 families residing in the city. The population density was 443.4 inhabitants per square mile (171.2/km2). There were 307 housing units at an average density of 211.7 per square mile (81.7/km2). The racial makeup of the city was 97.2% White, 0.5% African American, 0.5% Native American, 0.5% from other races, and 1.4% from two or more races. Hispanic or Latino of any race were 1.7% of the population. There were 273 households of which 30.0% had children under the age of 18 living with them, 46.5% were married couples living together, 9.5% had a female householder with no husband present, 5.5% had a male householder with no wife present, and 38.5% were non-families. 33.3% of all households were made up of individuals and 12.4% had someone living alone who was 65 years of age or older. The average household size was 2.30 and the average family size was 2.92. The median age in the city was 37.9 years. 26.4% of residents were under the age of 18; 7% were between the ages of 18 and 24; 24.5% were from 25 to 44; 23% were from 45 to 64; and 19.1% were 65 years of age or older. The gender makeup of the city was 47.7% male and 52.3% female. 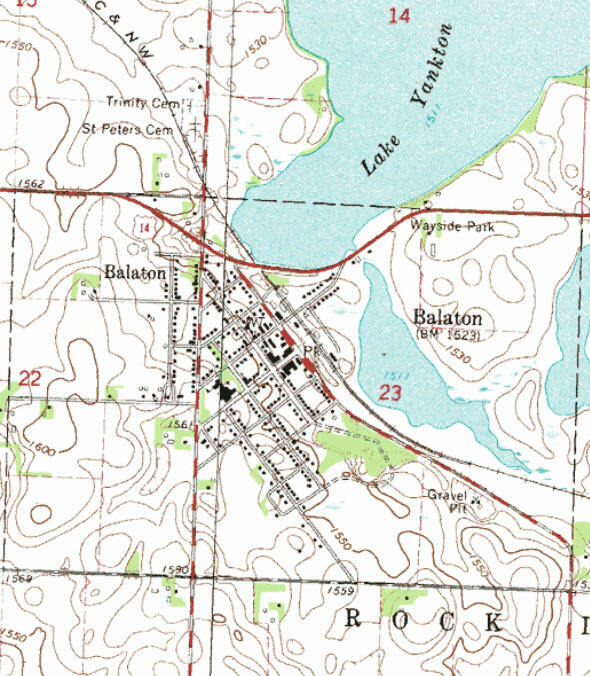 BALATON, a city in sections 22 and 23 of Rock Lake Township, platted in July 1879 and incorporated on December 12, 1892, was named for the large and picturesque Lake Balaton in western Hungary. Other versions of the name's origin include that it was named for a Chicago and North Western Railway stockholder named Balaton, that the name is a corruption of Belltown for David Bell, store owner and first merchant, and that indecision about choosing a name required a "ballot-on" situation. The city had a station of the Chicago and North Western Railway, and the post office began in 1879 with hotel owner Ralph E. Town as postmaster. The Fred Swanson Memorial Trail was established in 1998. The land is owned by the DNR. The trail begins behind the Colonial Manor Nursing Home. The trail winds along Breenings Slough and Spink Lake and ends where it begins after widening along highway 14 and Lake Yankton. The trail is home to an abundance of wildlife, plants and flowers. It is open to hunting and trapping during all state regulated seasons. The 18-hole "East Bay" course at the East Bay 9 Golf Course facility in Balaton, Minnesota features 2,220 yards of golf from the longest tees for a par of 27 . East Bay golf course opened in 2007. On the shores of Lake Yankton. Gazebo, picnic shelter equipped with tables and electricity, handicap accessible fishing pier, boat ramps, bathrooms, grill sites, swimming, new playground equipment, sheltered picnic tables and sand volleyball court. The clinic offices are conveniently located in an attached wing of the Colonial Manor Nursing Home. Close proximity makes access to health care convenient for nursing home residents, Lakeview Senior Housing residents and persons throughout the entire Balaton area. Services include comprehensive physicals, immunizations, wellness programs, disease management and education and women's health programs. Weekly newspaper published on Wednesdays with a circulation of 454. A variety of comfortable accommodations in several adjacent historic restorations. You will feel at home in an interesting and stimulation environment with nearby amenities: cafes, bars, lakes and rivers, protected wetlands, biking and walking. Four new campsites with full hookups are available in the Eastbay 9 Golf Course area north of the Colonial Manor. Camp Fees $20.00 per night. For further information and reservations call 507-734-4711 or 507-734-4653. 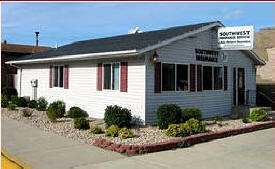 Balaton Dental Clinic offers dental surgery in Balaton, MN. We, along with Dr. Richard W. Brown, offer quality and friendly dental care. We also have a calm and friendly atmosphere for your convenience. Colonial Manor is a non-profit skilled care facility that provides 24-hour nursing care and seven days per week rehabilitative services. 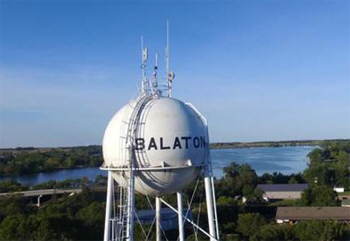 The facility is owned by the city of Balaton and managed by Ecumen, The facility is able to serve 33 residents and is conveniently located on the east side of town overlooking beautiful Lake Yankton. Services: Daily activities, beauty shop, church service, dietary services, maintenance, laundry, housekeeping and social service. In the summer of 2003, First Independent Bank celebrated their 100th anniversary as a real community bank serving Russell and the surrounding areas. To recognize one hundred years of First Independent Bank's success, they had a celebration that included the reenactment of the 1933 bank robbery, a picnic and much more. Be sure to stop in and try our famous WINGS and HAMBURGERS. Our burgers and steaks are fresh never frozen choice cuts. We know there is no other place that has taken these simple foods and perfected them as well as we have! 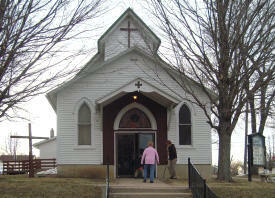 Lakeview Senior Housing is a 16 unit facility that overlooks Lake Yankton. The are studio, one or 2 bedroom apartments available, furnished with a stove, refrigerator and air conditioner. Amenities include: all utilities (except phone), noon meal, 1/2 hr housekeeping per week, maintenance, basic cable package, use of washer & dryer free of charge. Each apartment is equipped with a 24 hour emergency response system. Kitchen & dining are available for family gatherings. A la carte support services are provided for those who need help with medications, personal care and laundry. Southwest Insurance Services has often been referred to as the home of the creative approach to insurance. We would like to introduce YOU to our organization. Our relationship with our clients is that of employer / employee Ours is a service business We make no products We have no inventory on the shelves Our stock in trade is the knowledge, experience, talent and energy of our staff. Western Mutual is a state-wide insurance company that underwrites property coverage's for homes and farms throughout Minnesota. Western currently is represented by 45 different independent insurance agencies and writes business in 74 of Minnesota's 87 counties. 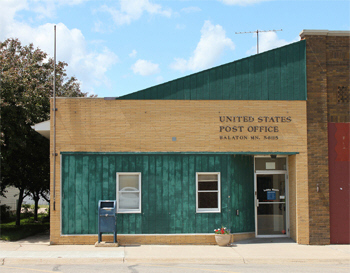 Western Mutual is Balaton's oldest continuous operating business having been incorporated on June 1, 1894.